Ben More Assynt and Conival are two mountains connected by a high ridge and consequently climbed together. Ben More Assynt is the more complex of the two with two tops (998m and 960m) linked by a narrow rocky ridge for those with a head for exposure. 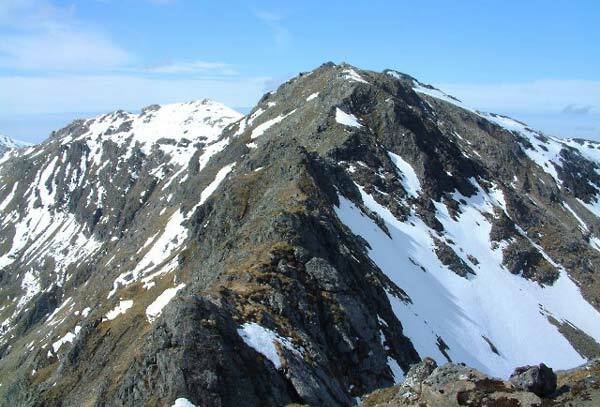 From the N top which is the summit, ridges run W to Conival and NE curving SSE around Coire Reidh. From the South Top (960m) a ridge continues S to Carn nan Conbhairean (868m) after which the slopes become easier allowing a return via Dubh Loch Mor through the narrow bealach between Conival and Breabag Tarsuinn to Gleann Dubh. A break in the cloud as approach Ben More. 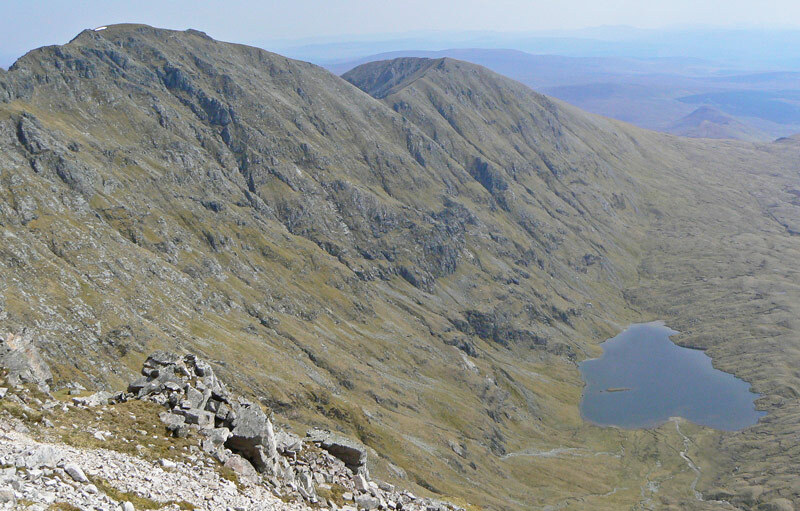 Ben More Assynt (south top) and Dubh Loch Mor; 23 May 2012. Summit of Ben More Assynt from the south ridge. 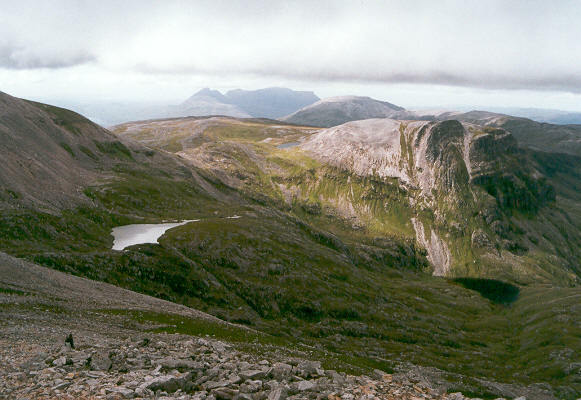 Looking North into the wilderness of Assynt from Ben More Assynt. 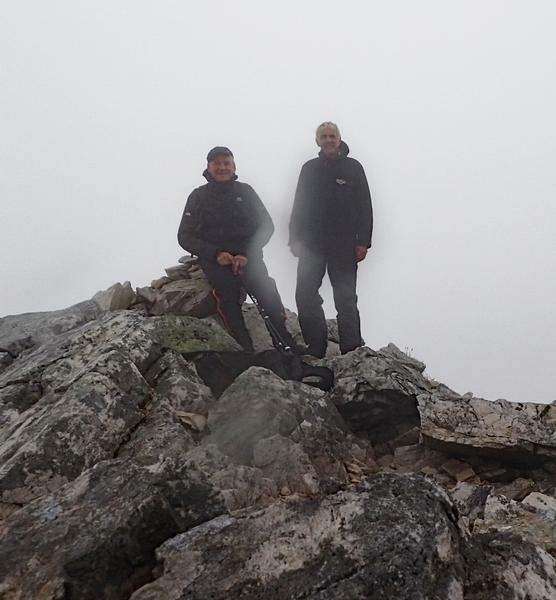 The summary information of one or more ascent routes that include Ben More Assynt. 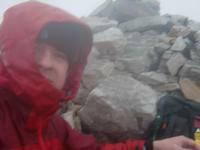 1 1285 m 17.45 km 6 hrs Ben More Assynt and Conival Moderate route with scree and crags. Roy and John - we could be anywhere. On top of Ben More with Quinag in the background. Self-portrait as there was only me up there - I don't really have a giant head. 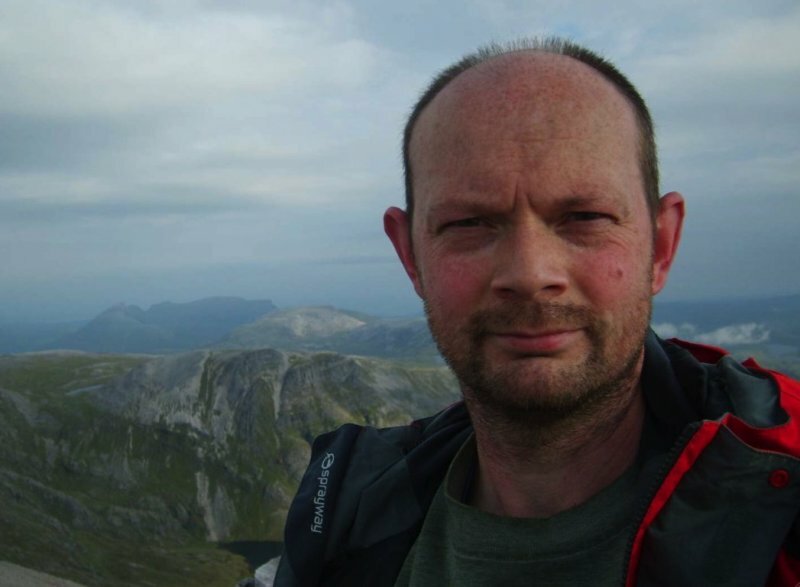 Post a few words about Ben More Assynt or read what others have had to say. Very good connecting ridge to BMA's South Top. Not one to do carelessly, though... has a couple of tricky moments! I did this and Conival the week before Christmas 03, and it was quite an adventure. Get to the hill early in winter and be careful of deer on the roads when driving to the car park (there were lots). Followed the burn to a steep shelf of rock, then on to the top of Conival, and go East from here. The ridge was amazingly windy, and had to do it on hands and knees in some parts. Not much snow, but intensely cold. One of character building hills!